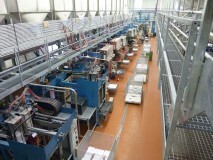 Our flexible production chain can handle individual units or high-volume serial production. The production volume determines the tools we use, and the level of automation in the manufacturing process. Standard applications include coloured foams, high densities or direct foaming of components. Quality is continuously controlled. Our modern foils department produces a broad variety of specialist goods, such as air cushions, pressure cuffs and thermal hoods. 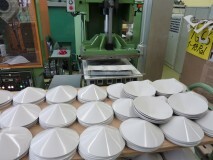 Our machines churn out Styrofoam and foam packaging when the foams department is at maximum capacity. These are then used as single-use or reusable packaging / load carriers or insulation boxes. We also produce construction components.